In a rush to reach the check-in desks at Stansted Airport? 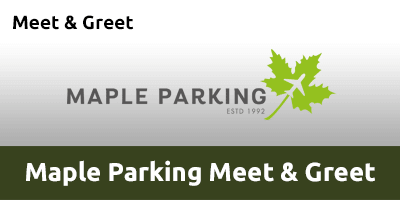 Maple Parking Meet & Greet allows you to drive straight to the airport. Once at the terminal, you’ll be met by a fully insured driver who’ll then transfer your vehicle to a nearby security-protected car park while you head straight to the check-in desks. At the Coopers End roundabout, take the third exit onto Terminal Road South. Please call Maple Parking on 01279 210 590 when you are ten minutes away from Stansted Airport (number will be provided on your confimation). Once you have collected your luggage and have cleared passport control call Maple Parking to let them know you're back. Make your way to the Express Set Down Pick Up area. Your car will be returned to you in Zone C by the three flag poles. Please look out for your car. The driver will need to see your return instructions paperwork to confirm your identity before handing over the vehicle.